In Mali’s capital of Bamako, Diallo Hawa Traore runs a soap company, one of the first in the city to sell gabakourouni, a special soap from Ivory Coast. 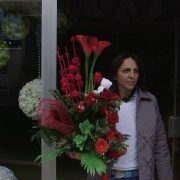 She started the company more than a dozen years ago. 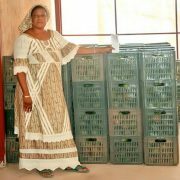 Diallo’s wholesale and retail customers know that her gabakourouni is the best quality available in Bamako. But as the demand for the imported soap grew, Diallo began eyeing a growing landscape of competitors. If she was going to keep her reputation as the best in the business, she would have to makes some changes. And to do that, she needed money. More than a billion women and girls worldwide don’t have access to formal financial services, according to the World Bank’s Global Findex database. Women make up more than half of the self-employed in low-income countries—the need and demand are huge. Globally, women are less likely to get a bank loan, and when they do, they pay higher interest rates. In many countries, women are unable to own land or inherit money, so it’s hard to show the collateral necessary to get a loan.In Mali, women are often denied credit regardless of their ability to repay. Bias, discrimination, and misperception abound—women are seen as more of a credit risk because of their perceived spending and saving habits. After a long, laborious, and confusing process, Diallo did finally get a micro-loan. She struggled to manage it, but not because her business wasn’t sound and not because she was a woman. She just needed a little knowledge and education. IESC seeks to bridge this knowledge gap to help women entrepreneurs scale their businesses. To most effectively increase women’s access to financial services, IESC supports both partners in the financial relationship—the lender and the borrower—to help them make smart financial decisions that aren’t based on stereotypes. 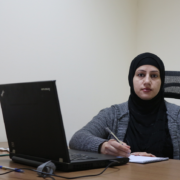 We train women in financial literacy, business planning, the loan application process, and at the same time, help banks and other financial institutions to develop new loan products, manage risk, and apply sound business analysis to loan applications, rather than make decisions based on gender. 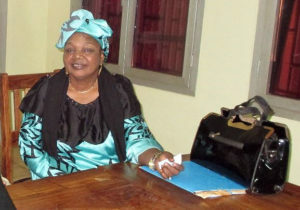 Through her involvement with a U.S. State Department program for women entrepreneurs, Diallo was referred to IESC’s program in Mali that is increasing access to finance for agricultural and women-owned small businesses. In addition to financial literacy and business management training from IESC, Diallo also participated in a mentorship program for women entrepreneurs. Diallo took her new knowledge all the way to the bank. She qualified for two microfinance loans with reasonable terms. And her business is thriving. She has 20 new wholesale customers and has hired 25 more people to help her fill orders on time. She has a new contract to begin working directly with a factory in Ivory Coast, and she has even expanded her product line to include plakali, a traditional food made from cassava. 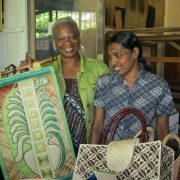 Unlocking capital for women transforms lives and has huge potential to create jobs and grow economies. These loans have revolutionized Diallo’s ability to do business. She says new opportunities present themselves every day. And she intends to take full advantage of all of them. Carybeth is senior program associate and Aichata is monitoring and evaluation manager on the Mali Finance for Food Security and Women Entrepreneurs Program. The program, which runs through 2020, expands access to credit to businesses in the sorghum, millet, rice, livestock, and agroforestry value chains and to women entrepreneurs and associations. It is awarded through Volunteers for Economic Growth Alliance (VEGA) and is funded jointly by the U.S. Agency for International Development and the Swedish International Development Agency.